The 1958 Lincoln was mammoth and mighty. There was certainly nothing like it on the road. The automotive press had a field day faulting virtually everything about the enormous luxury flagship from its odd, gaudy looks to the poor design of the unit-construction bodies. Sales of the enormous land yacht throughout the Dominion were only 1,001 units for the calendar year. They didn’t get any better in 1959, dropping to 717 units delivered. Lincoln’s sales slipped again badly in 1960 to only 477 units. It was widely rumoured in the press that Lincoln’s days were numbered; that the once great marque was about to join its ill-fated Edsel cousin on that great Number One HIghway in the sky. Canadians bought luxury cars but they wanted them to be small and lean. Alfa-Romeo, Daimler, Humber, Jaguar and Rover fit the bill. 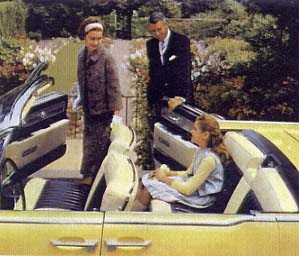 Studebaker-Packard dealers delivered 2,153 posh captive import Mercedes-Benz automobiles in 1960. Competing directly against Lincoln and Cadillac, the ritzy, compact Ambassador by Rambler with its price tag running as high as $4,000, found approximately 2,500 buyers. Stylists in Dearborn were ordered to come up with a replacement Lincoln that would wow the public and sell in decent numbers. It was not an easy task; the project was not going well at all. 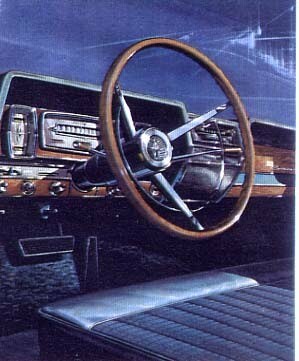 Using the popular Thunderbird as a benchmark, most of the proposed designs for the luxurious and large automobile were clumsy at best. Elwood Engel is the stylist who gets credit for what would become the new Lincoln look. Working alone in Special Projects, he focused on creating an updated look of the fabled 1956 Continental Mark II. His vision was elegant and understated. Top brass got excited about the stately looks of his clay buck and after seeing a four-door version of it, promptly ordered it into production. This Lincoln was dressed in a conservative houndstooth-check grille, divided at the mid-section with a chrome light bar that underscored the dual headlamps. Massive bumpers folded effortlessly into the body and raked deeply underneath the grille work. The side profile was that of an almost imperceptibly bowed knife blade, running stem to stern on the 123-inch wheelbase. The blade’s raised, chromed beltline was its “sharpened” edge. The subtlest whisper of a kick-up line graced the C-pillar, making Lincoln truly regal. Yet another whisper of elegance was evidenced at the wheel wells, dignified with the slightest hint of a swell. Counterbalanced doors opened on the B-post, a nod to the elegant days of motoring past. From the hindquarters, the form was perfectly lean, low and classically daring. The bumper and taillight flowed into a housing that seamlessly completed the edging of the knife blade look. A tasteful recessed cove, fitted neatly between the bumper and the rear deck lid, was emblazoned with the Lincoln crest. 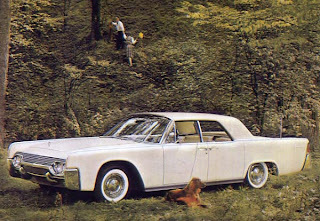 In a rare public acknowledgement that the previous generation of Lincolns might possibly have missed the styling mark, advertising for the new Lincoln Continental noted: “Its beauty is inherent in the design, avoiding excess ornamentation,” and “Here is a luxury car combining full six-passenger spaciousness with a welcome reduction in exterior size.” Another ad noted that it was thanks to advanced engineering that Lincoln avoided excesses in size and bulk. The Lincoln cabin was appointed with the finest of nylon broadcloth fabrics, hand-stitched to supple, “Metallic Finish Leathers” in no less than nineteen colours. For those who wished, all leather upholstery in solid or two-tone combinations was just the ticket. And then, by gum, why not go all the way by adding genuine polished walnut throughout the cabin? Windows, door locks, brakes, steering and seats were all of the power variety and referred to discretely as a complete staff of “power servants.” Even the windshield wipers operated on hydraulic motors. Air conditioning was an extra-cost item. Few Canadians ordered it, but those who did paid a cool $100 federal luxury tax for the option. Six-way power seats, Speed control, tinted glass, extra undercoating and a directed power differential were all on the options list, too. Colour choices were Presidential Black, Green Velvet Metallic, Honey Beige, Royal Red Metallic, Crystal Green Metallic, Rose Glow Metallic, Turquoise Mist, Sultana White, Summer Rose, Blue Haze, Platinum Regency Turquoise Metallic, Saxon Green Metallic, Executive Gray Metallic, Black Cherry Metallic, Sunburst Yellow, Sheffield Gray Metallic, Briar Brown Metallic, Empress Blue Metallic, Columbia Blue Metallic and Desert Frost Metallic. Those were just the single colour offerings, one could have the body in tasteful two-tones as well. 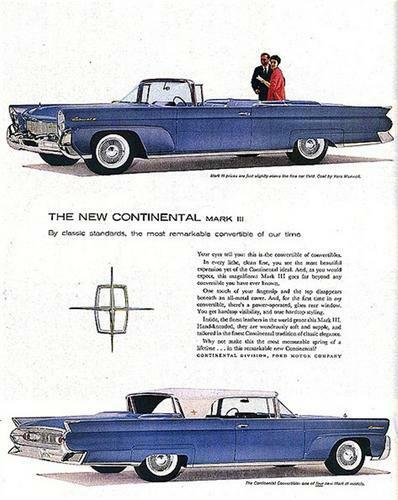 A single pair of Lincoln Continentals was offered for 1961; a four-door hardtop, designated as Model 82 and a four-door convertible, designated as Model 86. The four-door hardtop sedan listed for $7,810 and the open car could be had for $8,650. 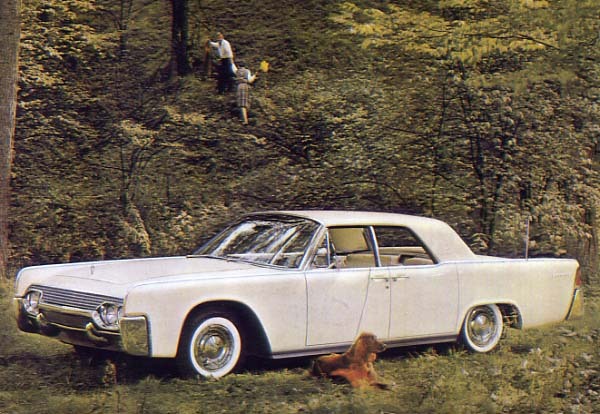 Canadians registered approval of the graceful lines by purchasing 667 lovely Lincolns during the calendar year. To honour such restrained classic beauty, the prestigious Industrial Design Institute awarded a bronze medal to the automobile’s styling team. With such a magnificent automobile on its hands, sales of the blue oval’s flagship were finally on the upswing. The automotive press was wowed. Any talk of Lincoln’s eminent death was stilled. From St. John’s to Victoria, Lincoln-Mercury-Meteor dealers reported in with 669 Lincoln sales for the 1961 calendar year. 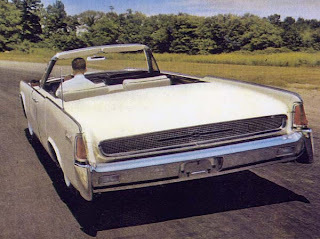 Despite its beauty, it did not do as well as the Cadillac with its 2,957 units delivered but did best Imperial’s total of 330 sales throughout the Dominion. 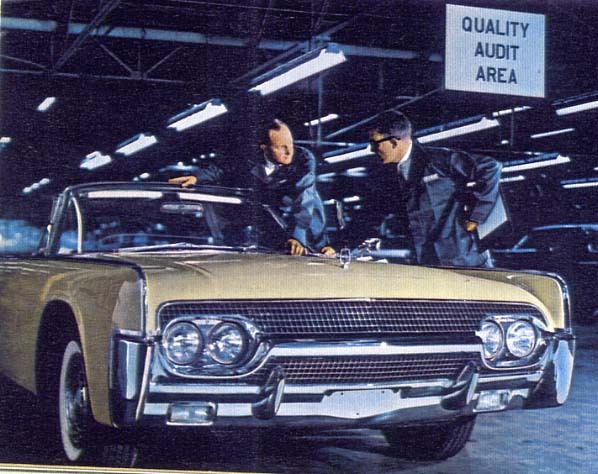 The 1961 Lincoln set a new standard of excellence in the luxury car field. The inspired design belied the fact that the four-dour hardtop sedan weighed in at a hefty 4,892 pounds. 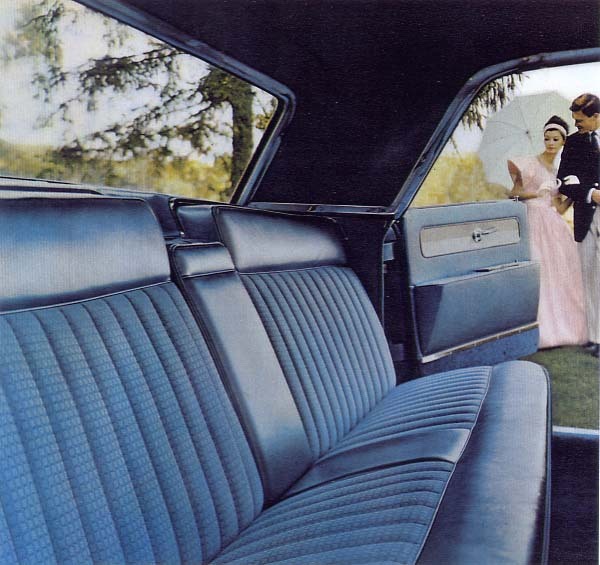 Cabin appointments for the 1961 Lincoln included sumptuous hand-trimmed leathers and upscale fabrics. Each automobile was swaddled in more than 200 pounds of felt, sound deadeners and fibreglass pads for an ultra-quiet ride. Symmetrical instrument panel for the 1961 was as functional as it was elegant and refined. 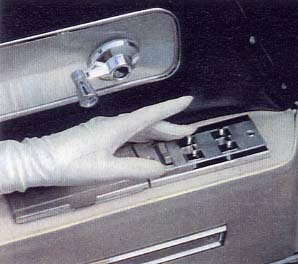 Centre-opening doors on the 1961 Lincoln were tested with special body gauges to ensure a perfect fit. The only four-door convertible on the market in 1961, the Lincoln is breathtaking from the rear. Visit my old car website at http://www.theoilspoteh.ca Visit my old car website at http://www.theoilspoteh.ca Visit my old car website at http://www.theoilspoteh.ca Copyright James C. Mays 2005 All rights reserved. I think the Lincoln was far supieror to other make of its catigory looks and quality.Lincolns Rock ! I also want to have luxury car that is small and lean. It will look unique and different. Besides, I want to have one that looks modern. Then you must put a 1961 Lincoln on your 'Want' list!